Live the journey to your dreams! 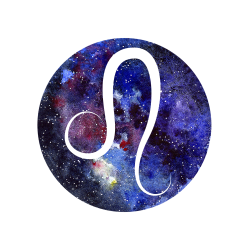 Do you feel you deserve more freedom or that you have to ‘settle’ for something other than what you really want, Aries? That’s the question scrawled across the heavens for you this week. You’ve the Sun, Jupiter which rules this house, and now Mercury very much in forward motion again, arrives back in this house this week. Remember this is the first time Jupiter has been in here for 12 years offering you an unprecedented cycle of expansion, adventure, opportunity and luck. While the 11th is our house of goals, our 9th rules our big dreams and the visions we have for ourselves and our future. Where we want to get to, what we want to experience and the journey we must take between where we are now and there – all these are ruled by the 9th. Passion, fire, vision and confidence are therefore yours to spin a mighty dream to aim for. And Jupiter in here says reaching it is now more possible than at any other time. Mercury remains within retrograde shadow for another 12 days. But this does not mean you cannot start the journey. Just have an alternative route or two in mind! This week also sees the Sun in your 9th trine Eris in your 1st. If you are familiar with mythology, you will know that Eris set in motion the events leading to the Trojan War simply because she wasn’t invited to a wedding. Eris could of course have decided that she didn’t want to go even if she had been invited. Instead, she got bent out of shape about it due to feeling this was a snub and she simply wasn’t good enough. Hence my question at the start of the forecast about settling for something. Your 9th isn’t about that. It’s about knowing there is no substitute for your dream and the journey itself makes everything worthwhile. So, don’t be content to ‘settle’ for anything less than what you truly want. 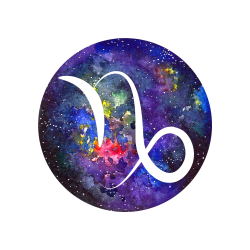 In a nutshell: This week says that when it comes to your dreams, they are too important to compromise, Aries. Getting there can be every bit as exciting as the goal itself. Don’t settle for less. Ruler Venus is in its ruling 7th and could just point you in the direction of that forever-kind of connection this week. True love – and passion, runs deep now. 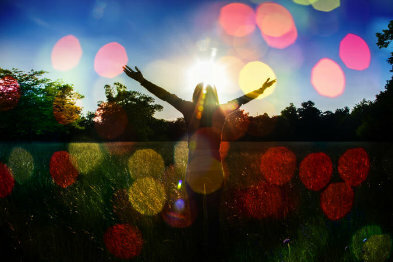 You’ve stepped into a year-long cycle of powerful transformation and some of this could include a little love alchemy. Questions around who you want to be within the future could be forefront in your mind. Don’t forget with Venus in your 7th all kinds of partnerships and dynamic duos are in focus now and these include those close working relationships and your best friends. Venus makes a beguiling angle to Saturn, planet of establishment and commitment in your 9th. If it feels right – you could be all-in now. If it’s not, change things. This could herald the arrival of someone with serious potential for singles. That person who fills in your blanks, just as you fill theirs. It’s not so much about ‘you complete me’ – as you are already complete. But ‘you enhance what is already there’. Mercury now direct once more, re-enters your 8th. It will remain in retrograde shadow until the 24th but you can now begin to look seriously at money matters especially when it comes to joint finances, loans, mortgages, taxes and salary. If you just revived an old love or even business relationship, this should now be progressing nicely. Above all, you’re feeling more open and fearless when it comes to your emotions and expressing your desires to others. You are willing to go where passion wants to take you now. Living without it – whether in your career or your personal life, simply not an option. In a nutshell: A love that enhances you and has long-term potential could be on the horizon for some. Living and working with passion is your priority now. Express those desires, Taurus! Impress those who can say ‘Yes’! 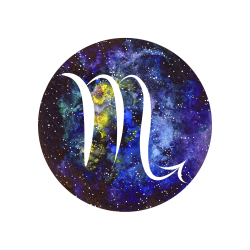 Mercury re-enters your 7th if partnerships and duos this week and when it comes to working with your ruler’s capacity for love talk in here, please remember you are in retrograde shadow until the 24th. Hearing from or reconnecting to an old lover or reviving a goal or project continues to be favoured until then. Step cautiously with anything new and continue to expect stops and starts – or to allow for them. Let anything you say have just that special pinch of love in it now. Look at any communication – even that business report or email, as an opportunity to bring about better understanding and enhancement. If you do this, you have the capacity to communicate much more effectively. And nowhere more so than with your close personal relationships. Venus which rules this house is in Mercury’s – your 6th. So, they are having a ‘conversation’ with each other. Doors to better-paying work and long-term progress open now as Venus angles to Saturn in your 8th. You are in a position to impress bosses or even potential ones, and people in a position to say ‘Yes’ to you. You’ll make the very best impression, bringing a touch of diplomacy to business undertakings and come across as someone people want to work with. If you have been wanting to make changes to your diet, lifestyle , exercise routine, then the angle between Venus and Saturn in your 8th could just see a long-term transformation. Whatever you commit to, you’ll stick to this week. In a nutshell: Say it with love in all interactions. That ability to reach for the right answer has you making the perfect impression. Changes that happen are for the long term this week. Is it time for love? 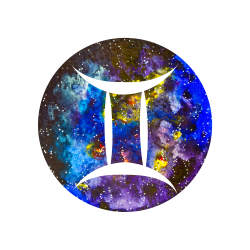 Mercury re-enters its ruling 6th house in your chart this week. Remember, that Mercury remains in retrograde shadow – going back over that part of the sky it travelled before it turned retrograde in the first place. So, we do not move fully away from the retro cycle until it has passed that point – which happens on the 24th. So, as far as work – paid and unpaid, study, your routine and especially your wellbeing, the word ‘renew’ applies up until then. Continue to keep an eagle eye on the details of anything you send out, double check facts and figures but when it comes to the Temple of your Body, think renewal for the long term when it comes to the choices you are making. This is our house of pets so many of you could get a new pet if you have been without one or else may be also looking at putting in a long-term health routine for your pet. 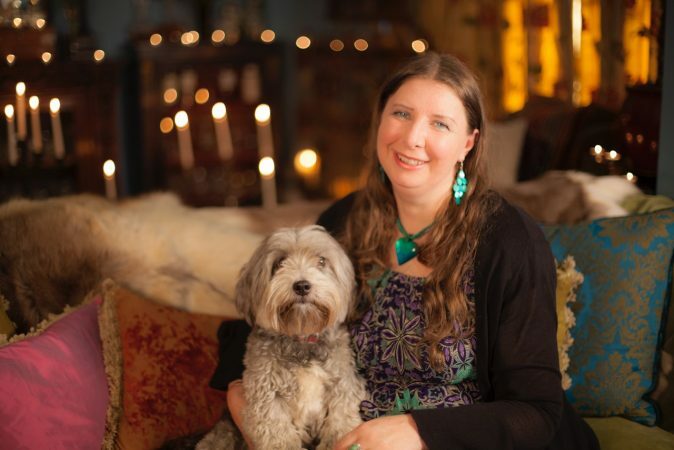 Our pets often mirror our own mental and physical conditions when we are close to them. What is yours telling you? Venus is in the mood for romance this week and entices Saturn in your partnership sector to make a commitment to love. This is an angle full of promise when it comes to kick-starting a love affair with serious, long-term potential. Saturn is in Venus’s ruling house, so he finds it hard to resist her approach. With Saturn involved existing love could go to the next level or else singles find themselves attracting someone worldly, successful and experienced. There may be an age gap of at least seven years either way between you. Saturn says it’s all about the timing and time doesn’t matter and age is in the mind. If a cosmic clock has been timing you, it could just be chiming love this week. In a nutshell: Love has a timing all its own. If it’s time to commit, get serious or just enter a new relationship, this week could mark a new beginning. Make time now, Cancer. Mercury re-enters your 5th this week asking you to make one final revision to any creative projects or ideas you’ve been reworking recently. 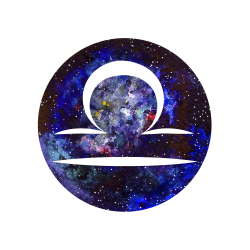 Just be aware that it will remain in retrograde shadow until the 24th so this is not so much about launching just yet but marks one final opportunity at refinement. Here’s the secret to a Mercury retrograde – nothing lasts that happens under it. This especially includes fights and misunderstandings. Mercury retro always says: wait a while. Things reverse, go forward again, go back a step, then shift forward during a retrograde shadow. The other secret: don’t take it seriously. Your ruler the Sun is also in here which is of course, the Sun’s ruling house in your chart. 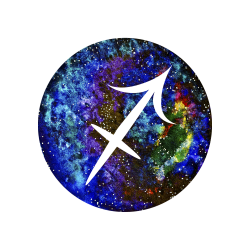 This week sees it make a tense angle to Astraea in your 8th. Astraea is an asteroid and in mythology she was the last of the immortals to leave earth. She was turned into the constellation of Virgo but has more in common with Libra as she was the Goddess of Justice and symbolised by the scales. Your 8th is your house of change and transformation. Look at one particular relationship and how it may be ‘out of balance’. Perhaps you are the one giving and taken for granted? Is generosity a one-way street? This connection can be with anyone from a child to a lover or even a work connection. You know where things are out of alignment. 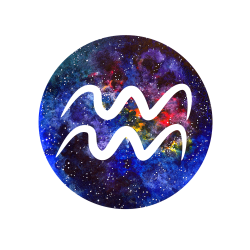 Mercury in your 5th hands you creative ideas and also the ability to renegotiate if necessary. If something has stopped being fun, take action. That process of refinement includes refining the T&C’s when it comes to your most intimate connections this week. When it comes to that outcome – yes, do take this seriously. In a nutshell: Ruler the Sun shines on all your relationships this week reminding you that love is supposed to be easy. Address any imbalances in any connection. Re-envision that love vision, Leo. 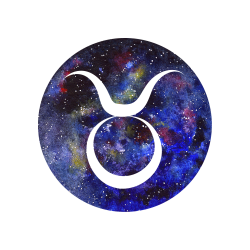 Ruler Mercury changes rooms to your 4th this week putting the emphasis back onto home, family and your long-term career and security. Look to your roots and what supports you during the remainder of the time Mercury remains in retrograde shadow which will be over on the 24th. Keep a look out for problems around your home or apartment – breakages, leaks, appliances that go ka-phut. And also try to avoid buying anything new or signing contracts or leases until Mercury is out of its shadow phase. Redecorating, renovating, refinancing or remodeling continue to be favoured however, as does leveraging past achievements in your career or re-approaching an old client or employer. In other words, for now make the most of where you are and what you have to leverage Mercury’s forward-again-motion in here. Is it time to talk about love or to bring it down to earth, Virgo? All this grounding energy in your 4th – the Sun is in here as well as Jupiter paying its first house call for 12 years, triggers your need for more security or just knowing where you stand. Planning your future is high on your agenda and you won’t give timewasters houseroom. 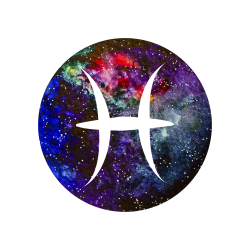 Neptune is in your 7th and your challenge is not just to reach for that higher love but to make it real – or as the song says, or just forget about it. You’ve help with love discussions from Ceres in your 3rd making a reality revealing angle to Neptune when it comes to the direction love may take in the future. Remember, Ceres is one of those objects associated with power as well as harvest. Above all, Ceres is about striking that compromise between what we want and what the other party wants. However, when it comes to what you are seeking in the long term, you need to be clear about this and ensure compromise does not tip into you giving up what you want to try to hang on to something that really won’t deliver it in the long term. Venus in your 3rd weighs in this week making a fabulous angle to Saturn in your romance zone. Saturn is all about a reality check. Attracting someone who wants the same as you could be just the outcome you need. So, insist on the real deal or someone who wants the same thing you do this week. In a nutshell: Get real when it comes to love now, Virgo. Or insist on getting the real deal when it comes to what you want. Attracting a lover on the same page could just be part of this. Mercury re-enters its ruling 3rd this week and make no mistake – the retrograde ain’t over until it’s well – over. This is Mercury retro shadow time which will end on December 24. Up until then, proceed as if the retrograde was still in full effect. Business and work dealings may go back and forth, people may be reluctant to sign on the dotted line and what you say or do can still get lost in translation. That idea you’re sitting on – continue to sit with it. At least until Mercury clears that shadow area. Don’t leave anything half said – be it that conversation, that manuscript, project or web-based idea. This is your period to make final tweaks and adjustments as your launch window approaches. Ruler Venus in its ruling 2nd playfully nudges at Saturn in your 4th reminding the planet of foundation and establishment of all that hard work you’ve been putting into finances, security and long-term home issues. Saturn in turn may be in the mood to grant you a foundation stone – something from which to build on further. Saturn is a planet which rewards for commitment and effort. And when it does, it can reward like no other. Or else its rings end up being just that – they keep you in place, running Groundhog Day-like circles until you learn your lesson. 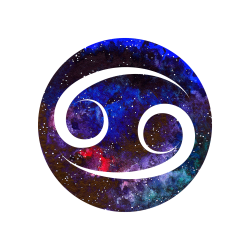 If there’s rewards and release coming your way this week – especially around career, income or where you live, you’ve earned them now, Libra. In a nutshell: What doors are opening for you this week, Libra? If they are, you can be sure this is your reward for taking on board a karmic lesson. Especially when it comes to career or money. You’ve the ability to recreate something from your past still, Scorpio. What needs to be reshaped or brought up to date? Whatever it is, it’s evolved along with you to become relevant again in the here and now. 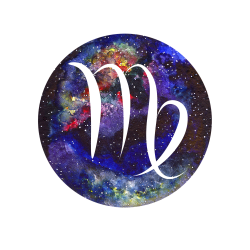 This could well involve your money or a past source of income or even a relationship revival as Mercury leaves your sign and re-enters your 2nd. You have had both Mercury and Venus in retrograde cycle through your 1st. So this has seen you going back over intensely personal ‘stuff’. Part of this work may have involved a personal reinvention – or rather ensuring your image reflects the beautiful phoenix you are becoming. The ability to reshape not just your appearance but a project, relationship or your finances is all part of the transformational alchemy you’ve had at your fingertips. But what still needs to benefit from an upgrade? 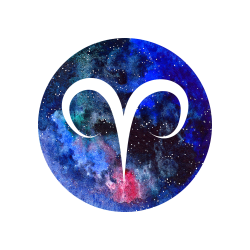 Mercury remains in retrograde shadow in your 2nd until December 24 so proceed cautiously if you are thinking of taking on new financial commitments and try, despite the pressures of the holiday season, to keep spending in check. Financial negotiations may take longer to close than you may think so again, do not spend money in anticipation of earning it. This week sees Venus in your 1st make an influential angle to Saturn in your 3rd. You may have news of a job offer, deal or something which has the ability to underpin your long-term future. Some of you could make a highly influential connection where they benefit from the other party’s knowledge or experience. If this is a work connecting the two of you can achieve a great deal and are likely to work together over the long term. Take things by stages this week – whether it’s transformations or negotiations. You’ll get the result you are after. In a nutshell: Become your own reinvention this week, Scorpio. What needs to evolve in your life? Bring the alchemical ingredients of ideas and love to bear. There’s nothing you can’t change now. Re-state your case and represent those ideas now Sag as Mercury re-enters your 1st this week. Remember, Mercury is still in its shadow period and will remain so until Dec 24. So, you may find many things are still ‘up in the air’, for you now. The 1st is the house of the self, so this is an up-close-and-personal period. What is it saying aside from trying to turn birthday plans upside down? The gift here is you have a second chance at something, another go around or opportunity. And if you take a chance and try again, this comes gift wrapped with the possibility of giving you a different and better outcome this time around. Ruler Jupiter is expanding your awareness when it comes to potentials and possibilities. Above all, it is boosting your confidence by daring you to knock on that door a second time. If at first you don’t succeed . . . try again but differently this time. Hidden love, desires, insecurities, insight and creativity are all triggered by Venus in your 12th. What you’re thinking or dreaming about comes down to earth this week thanks to Venus making an enlightening angle to Saturn in Venus’s ruling 2nd. Everything comes down to earth now and you’ll see whether that dream is possible – or just a fantasy. A past love could feature and if so, you will see clearly whether there is still potential there. It’s time to get very real about your money, income, home and assets. Look back at the past and see what lessons you have learned. You can build something solid and sustaining for your future now – and put creative ideas to good use. This could be tied to that different outcome I mentioned. No more ‘up in the air’ – bring love and business down to earth. In a nutshell: If there’s something you still hope or desire to achieve, this week hands you a second chance. You’ll see clearly whether love – or anything else, still has potential. If so, ask again. What may have escaped your notice, hidden information, working behind the scenes – perhaps unacknowledged for now, and ideas you are not yet ready to share are all highlighted by Mercury’s return to your 12th this week. This is your house of secrets and also hidden enemies. You also have the Sun and Jupiter in here. Anything unearthed is likely to have a big impact now. Remember, this is also your house of intuition, which is increased and expanded thanks to Jupiter linking you to universal wisdom. Therefore, do not ignore that inner voice now. Something you missed the first time around is likely to be brought to your attention and this can even come to you in a dream. Remember, you are in your ‘soul house clearing’ period which always occurs just prior to your birthday. This is the time when you get to measure whether or not something still has meaning for you in order to either take it on with you into your new cycle – or let it go. Again, rely on intuition with this process. 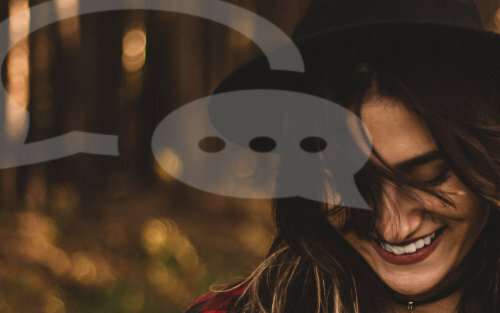 Venus in your 11th is all about the love of friends and feeling connected to the company you keep. Just be aware Venus in here is less about romantic love but is about friends offering you other kinds of benefits. Venus makes a fabulous connection to ruler Saturn in your 1st this week. This could herald the beginning of a long-term friendship or working relationship. Or someone just wants to be a very good friend to you – or you to them in turn. Friends or contacts could open doors for you professionally now. Connections get locked in for the long term. You could just feel very blessed with the company you’re keeping now. If you need anything, allow your intuition to guide you to the right friend to ask. Embrace those connections, this week. In a nutshell: Stay connected to what your intuition is telling you about a person or situation. Friendships get locked in for the long term. And bring you surprise benefits this week, Capricorn. Regroup, rejoin, reconnect – whether it’s a social scene, pastime, friendship or a goal, Mercury’s re-entry into your 11th after its retrograde period continues to have you reviving the past on some level. Mercury remains in retrograde shadow until the 24th. So, old friends, associations and contacts will continue to feature as could recommitting to an old goal. Those good times and past haunts you used to frequent could still be exerting a pull over you. And there is something freshly relevant to be gained from a revival now. Continue this process right up until Dec 24 when Mercury will finally pass out of retrograde shadow. This week has Venus looking to enhance your career status and professional image. You could be quietly ambitious now or working on something important and lasting – but in the background thanks to Saturn in your 12th. This week sees Venus and Saturn make a potentially status-enhancing alignment as Venus is in Saturn’s ruling house in your chart. Utilise creativity and insight when it comes to your work and career. This is an excellent time to approach people in powerful positions such as bosses, potential employers, customers or clients, and make your pitch. You are likely to be seen as someone desirable and with whom they want to do business with. Someone from your past or with whom you share strong karmic ties could open a door to opportunity for you and say ‘Yes’. It’s all about long term progress and rewards for past efforts catching up with you in the present moment. In a nutshell: Seriously beautiful career moves can be made this week. Rewards for past efforts catch up in the present. People just want to say ‘Yes’ as professional doors swing open. What won’t you compromise over? Mercury puts you back in the driving seat when it comes to your career this week but you are not completely out of retrograde shadow time yet. This will end on Dec 24, so up until then, continue to work on your professional image and above all, cultivate an aura of gravitas when it comes to dealing with people in positions of authority or influence. If you have an important meeting or interview now, it’s important to remember that people actually WANT to say yes to you, not no. They want the next person who walks through the door (that’s you btw), to be the right person for the role or be able to offer them the product/service/solution to what they are seeking. Remember this in all your dealings now. You have what they are seeking. So, sell yourself in accordingly. This week sees ruler Neptune in your 1st make a fabulous angle with Ceres in your 9th of freedom. Now, in mythology Ceres and Neptune have a long history and not always a good one. According to myth, Neptune was paying Ceres unwanted attention. So, she turned herself into a horse (which incidentally, in myth Neptune created), to get away from him. Ceres is a dwarf planet associated with power and compromise. Your 9th is the house of freedom – and coincidentally horses. Do you want to gallop off metaphorically speaking, from someone or something you feel restricts you? Is this affecting you mentally or spiritually? What this aspect is saying is you don’t need to run in order to gain your freedom. Tapping into your personal power, facing whatever it is you may fear and reaching for the knowledge about what you will or won’t compromise on – if only within, brings you freedom from something right where you stand. Traditionally there are three classic reactions to stress – flight, fight or imitate. You have four now – compromise. Begin this within. In a nutshell: What you will or will not compromise over is the key to transforming a situation for you. Understand people in positions of power want to say yes. Show them you have what they want.